Two SpaceX launch campaigns are in their final stages on both coasts of the United States with a flight-proven Falcon 9 in the process of meeting its Bulgarian satellite payload for a Geotransfer mission out of Florida and a brand new Falcon 9 firing up its engines at Vandenberg Air Force Base in California on Tuesday as part of the company’s standard pre-launch campaign. Falcon 9 carrying the BulgariaSat-1 communications satellite is working toward liftoff on Friday during a two-hour window opening at 18:10 UTC, to be followed – if all goes according to plan – by the west coast Falcon 9 on Sunday with an instantaneous launch opportunity at 20:25 UTC to send the second batch of ten Iridium-NEXT communications satellites on their way to Low Earth Orbit. The Iridium-NEXT replacement effort is characterized as the most expansive satellite constellation upgrade in history, coming with a price tag of nearly $3 billion and calling for the replacement of the entire 66-satellite Iridium constellation, much of which had been in place since the late 1990s. The first ten Iridium-NEXT satellites enjoyed a flawless ride to orbit on January 14, marking SpaceX’s Return to Flight mission following the September 1st explosion of a Falcon 9 rocket atop its SLC-40 launch pad in Florida. 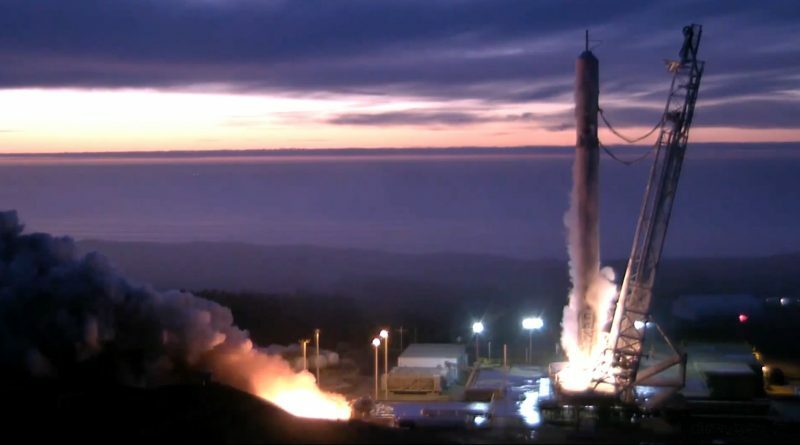 The flight also marked SpaceX’s first Pacific-based drone ship landing and the first stage performing the mission is the one currently in the final stretch of its second launch campaign, tasked with lifting Bulgaria’s first commercial satellite on Friday. The first ten Iridium-NEXT satellites were successfully activated within days of their arrival in orbit and their performance was hailed as exceptional following initial tests of their inter-satellite and space-to-ground communication links. Eight of the satellites then spiraled up from a staging orbit 625 Kilometers in altitude to join the operational constellation at 780 Kilometers, being handed an active role via instantaneous ‘slot-swaps’ with now-retired first generation satellites. The other two satellites are being relocated from Plane 6 to Plane 5 within the constellation, a process that takes several months. 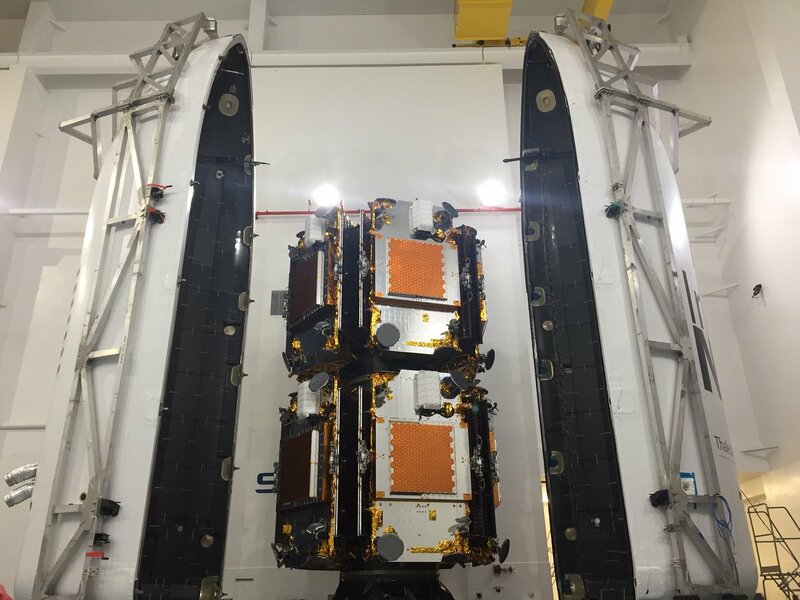 Iridium opted to put its satellites on all-new Falcon 9 rockets, beginning with seven dedicated launches with ten Iridium-NEXT satellites each and one shared ride with five Iridium birds and two GRACE-FO gravity-sensing satellites. The company hopes to have all Iridium-NEXT satellites in orbit by mid-year 2018 with at least one operational spare in each of the constellation’s six orbital planes, guaranteeing robust, failure-tolerant coverage. 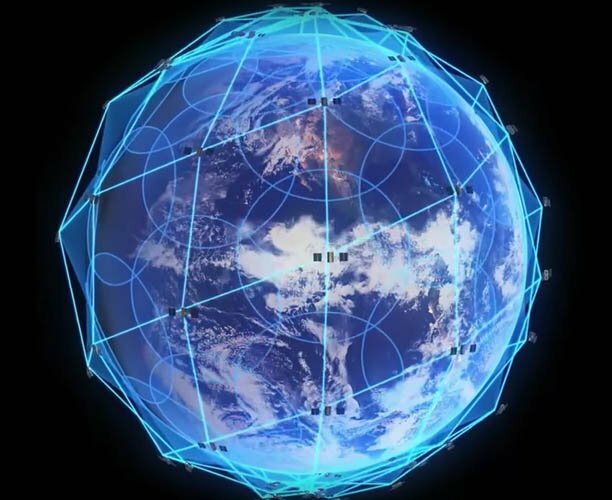 Iridium is the only communications provider with truly global coverage, possible through a large constellation of satellites in a careful orbital arrangement that covers every spot on Earth, 24 hours a day for worldwide voice and data communications through satellite phones and other transceiver units. Established between 1997 and 2002, the original Iridium constellation had reached a degraded state by the start of 2017 with no more spares available in orbit and down two active satellites – making the initial replacement launches an urgent matter. Weighing in at 860 Kilograms, each Iridium satellite covers a 4,700-Kilometer wide footprint – connecting to user terminals through a large L-Band antenna and routing data via space-to-space links with neighboring satellites to ship customer data packets to their respective destination. Typical services offered by Iridium-NEXT are voice and data communications with mobile terminals at up to 1.5Mbit/s while a high-speed Ka-Band service is available for larger fixed and transportable terminals at data rates up to 8Mbit/s. Built by Thales Alenia Space and assembled by Orbital ATK, the Iridium-NEXT satellites also offer space for hosted payloads – providing an unprecedented opportunity to the scientific community to deploy a sensor constellation with full global coverage, enabling never before seen revisit rates of one to two hours. Hosted payloads on Iridium-NEXT are dedicated to tracking commercial flights in real time all across the globe, monitoring global ship traffic and measuring a series of Earth & Space Science parameters via a dedicated instrument payload known as GEOScan. Gearing up for its second Vandenberg launch of the year, SpaceX requested an initial date of June 29 for the Iridium-NEXT mission, but that date only stood for so long as a rare move to the left brought the launch forward four days to the 25th. The Falcon 9 first stage arrived at Vandenberg in the second half of May followed by the second stage and payload fairing exactly one month before the planned launch date. 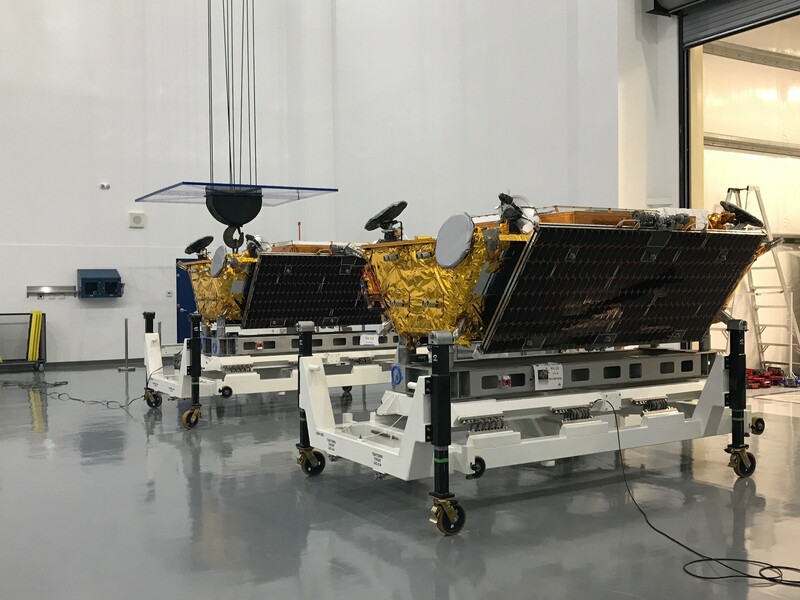 The ten Iridium-NEXT satellites for Launch #2 began arriving at the launch site in late May to complete final checkouts and take their position around a two-tier launch dispenser. 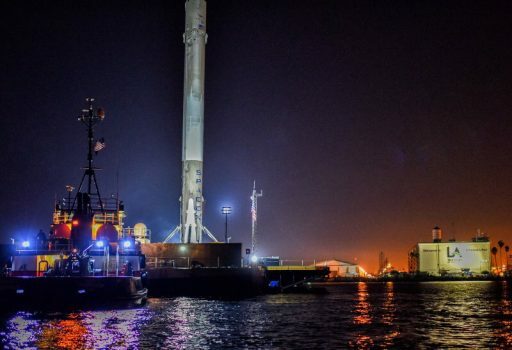 All ten had taken their seats by June 6 and fueling was reported complete by the 15th followed by the encapsulation of the stack in the 13-meter tall Falcon 9 payload fairing. Falcon 9 – still missing its payload – was moved to the launch pad at Space Launch Complex 4E on Monday, taking its vertical launch position for a series of checks before completing a mock countdown on Tuesday, receiving over 500 metric tons of chilled Liquid Oxygen and Kerosene in the span of only 70 minutes to be ready for its 3.5-second firing of the nine Merlin 1D engines on the first stage. 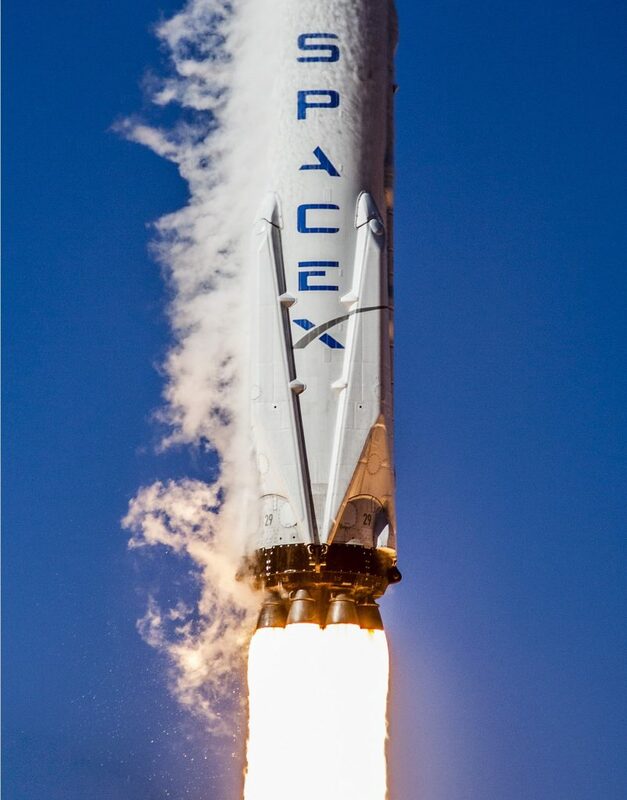 As noted for the BulgariaSat-1 campaign, new Falcon 9 rockets enjoy a shorter static fire than previously flown boosters, lasting just long enough for all engines to reach operational conditions to collect performance parameters for start-up. Additional data on the steady-state firing performance of the engines is collected for flight-proven boosters which are fired for seven seconds. The brief hold-down firing occurred around 22 UTC and SpaceX confirmed through Twitter that the quick-look review of the test showed no concerns. Per standard operating procedure, Falcon 9 is safed after the brief engine start and engineering teams review telemetry collected during the test to ensure the burn reached the planned duration and all required performance data was captured. If these criteria are met, Falcon 9 is cleared for de-tanking ahead of rolling back to its integration facility for the installation of the payload while engineering teams comb through Static Fire data for a detailed review that leads into the Launch Readiness Review – the final hurdle standing in the way of liftoff. Launch is timed for 20:25:14 UTC on Sunday – an instantaneous launch opportunity aiming for Plane 3 of the Iridium constellation. Falcon 9 will be in action for over 70 minutes, firing its first stage for just under two and a half minutes followed by a six-and-a-half minute burn of the second stage to put the stack into a parking orbit for half an orbit of coasting ahead of a three-second re-start of the MVac engine to inject the satellites into a 625-Kilometer orbit. After checkouts of the second set of Iridium-NEXT satellites, five of the ten will maneuver up into operational slots within Plane 3 while the other five are drifted into Planes 2 and 4. Iridium has drawn up a complex replacement plan designed to reach a full six-plane Iridium-NEXT constellation as early as possible. Launch #3 will aim for Plane 2, currently with a tentative date of August 24, and Launch #4 will lift satellites into Plane 4 with liftoff NET October. Per the current plan, SpaceX will complete the eighth and final Iridium-NEXT delivery by mid-year 2018.